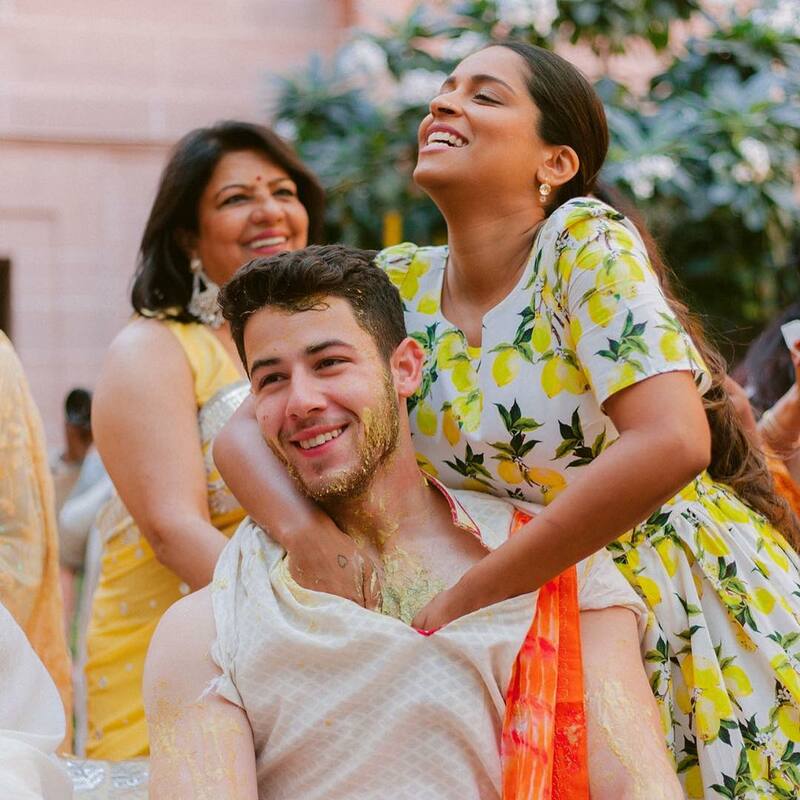 YouTuber Lilly Singh has shared unseen photos from Priyanka Chopra and Nick Jonas's Haldi ceremony. Sharing the photos on her official Instagram account, Lilly Singh has revealed that Priyanka had told her not to show any mercy on Nick during the ceremony. 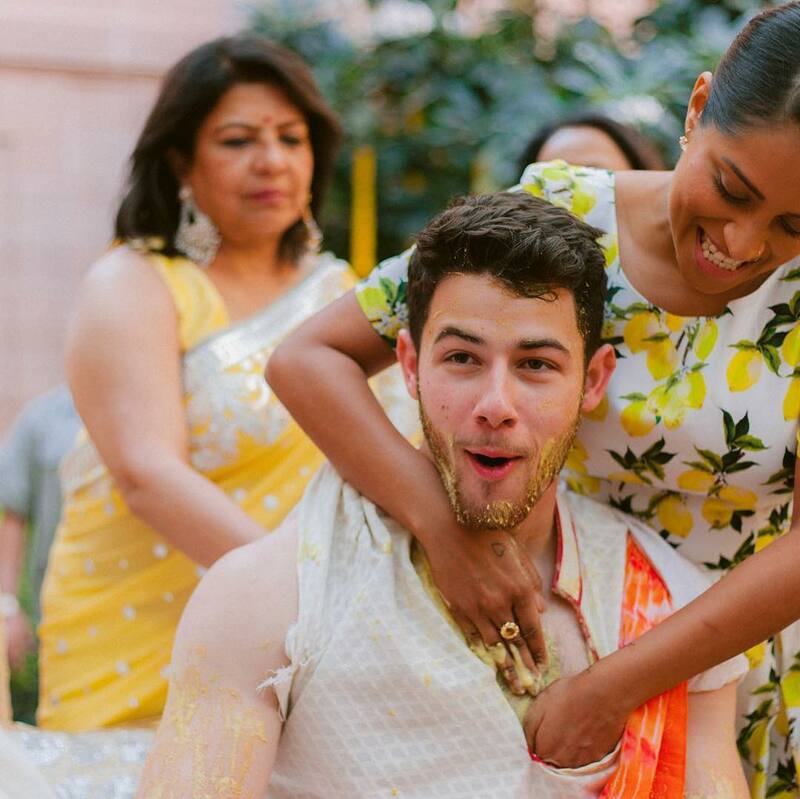 In the photos shared by the YouTuber, she can be seen generously applying turmeric on Nick's face and chest. 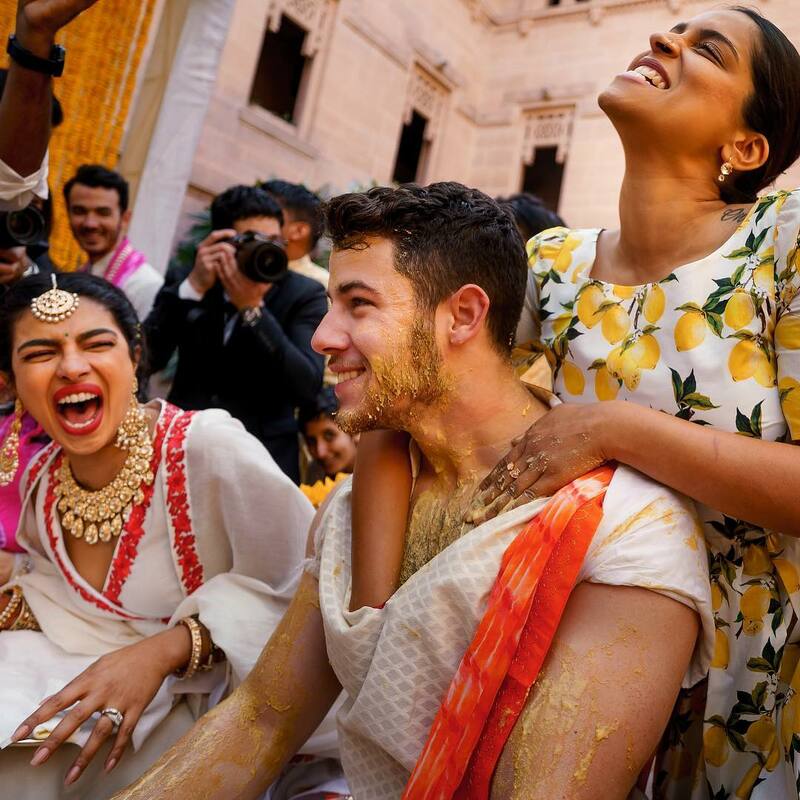 Priyanka Chopra and Nick Jonas tied the knot 2 months back at Umaid Bhavan in Jodhpur but their wedding fever is not over yet. 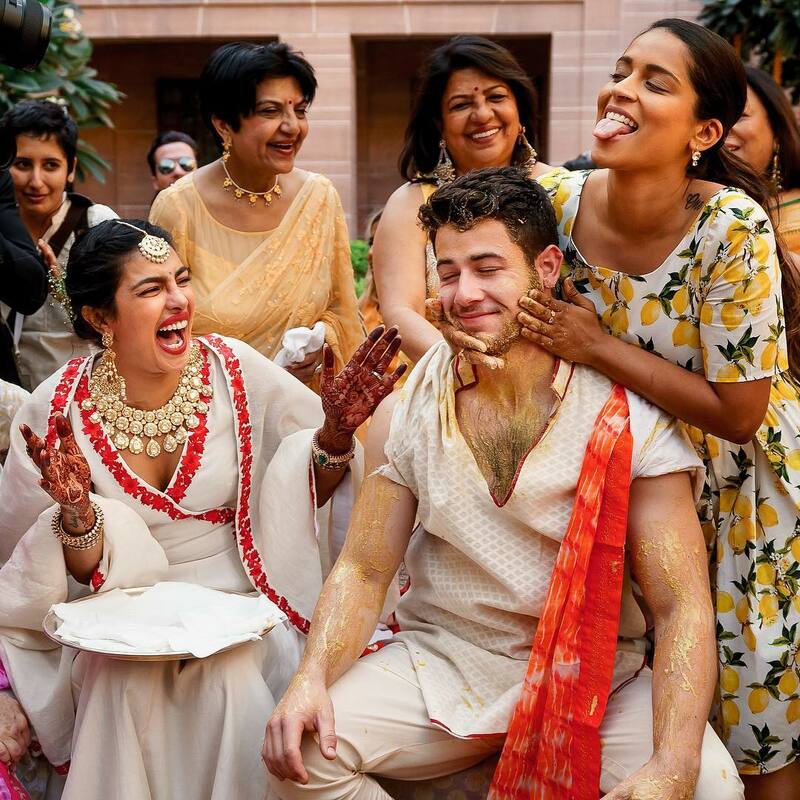 Touted as a big fat Indian wedding, Priyanka and Nick’s wedding was an intimate one with just close friends and family in attendance and one such personality in none other than YouTuber and social media influencer Lilly Singh. On February 10, Saturday, Lilly took to her official Instagram account to share unseen photos the desi girl’s Haldi ceremony and they are no short of an absolute joy ride. 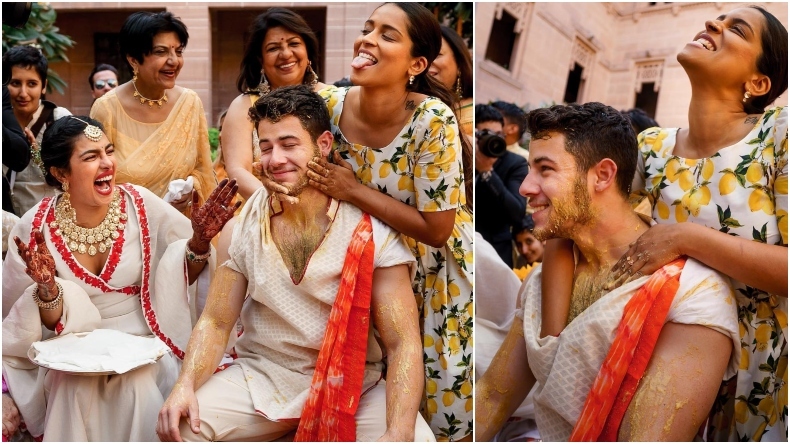 Keeping her promise to Priyanka of showing no mercy on Nick during Haldi ceremony, Lilly can be seen generously applying turmeric on Nick’s face and cheeks. 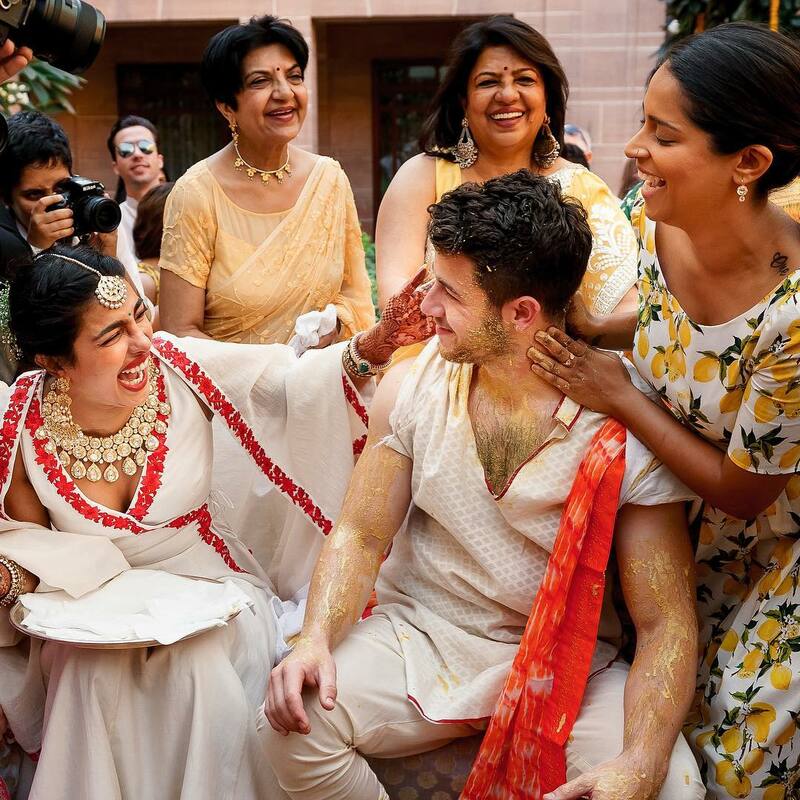 As Priyanka bursts out in a huge laugh and Lilly makes a cute expression, Nick seems visibly amused and awkward. For the Haldi ceremony, Priyanka Chopra looks stunning in a white suit with red embroidery. With henna in her hand, Priyanka has completed her look with a huge choker necklace, matching earrings and a maang tika. For her makeup, Priyanka has opted for dewy look with red lipstick and a bindi. Nick Jonas, on the other hand, is complementing her perfectly in a white kurta-pyjama paired with red dupatta. Priyanka Chopra and Nick Jonas are currently ringing the Grammy awards 2019 weekend in Los Angeles. After promoting her upcoming film Isn’t It Romantic, the desi girl will start shooting for her upcoming Bollywood film The Sky Is Pink.